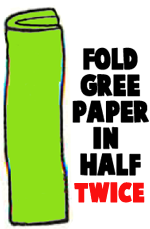 Fold green paper in half twice. 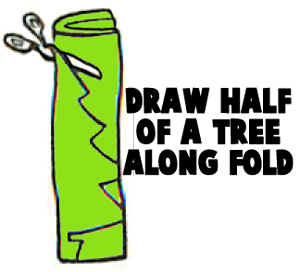 Draw half of a tree along fold. 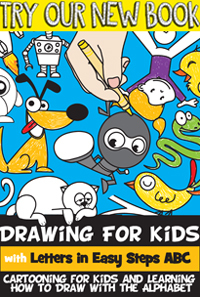 Cut out along where you just drew. 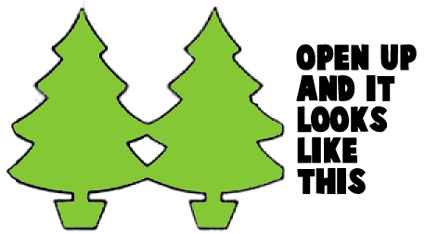 Open it up and it looks like this. 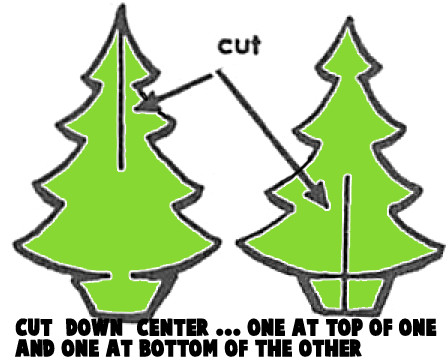 Cut down center… one slit on top of one tree and one slit at the bottom of the other tree. 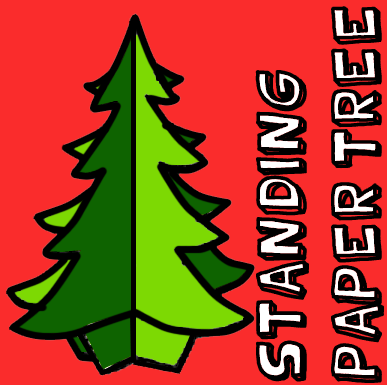 How did your Standing Paper Christmas Tree turn out? 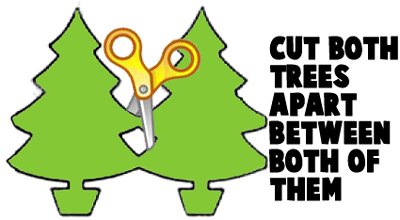 Make a few and use them to decorate your house for Christmas. 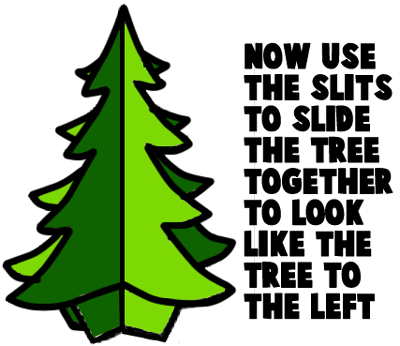 And, don’t forget to check out our other Christmas Crafts.